The conclusion of TRIPs Agreement opened a new era in the field of intellectual property rights. The Agreement evolved minimum standards for copyright, patents, trade marks, industrial designs, geographical indications, layout-design of integrated circuits and undisclosed information which includes trade secrets. The subject of IPRs has become important since then. The Member States were under an obligation to amend their IPR laws to bring them in conformity with the provisions of TRIPs Agreement. India has also enacted new laws on Designs, Trade Marks, Plant Varieties and Farmer’s Rights, Geographical Indications, Semiconductor Integrated Circuits Layout-Design and drastically amended the Copyright Act and Patents Act. 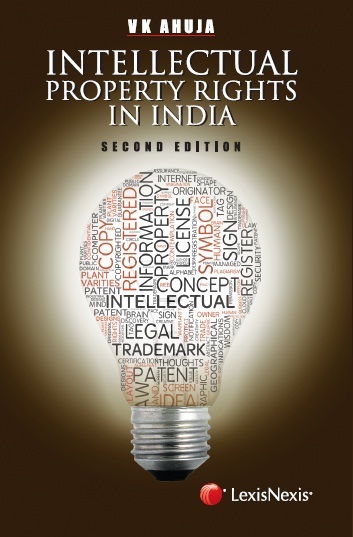 This book discusses and analyses the law on IPRs in India in a lucid language. It explains the know-how and licenses to give an overall picture of the law on IPRs. A summary of all the international agreements, treaties and conventions on IPRs has also been provided. A number of Indian, American and English cases have been referred in the book to further elucidate the concepts. The book is intended for professionals and will also be useful for students of Law, Management, Science, Technology, CA and CS, having IPRs in their curriculum.